This Agreement was last modified on November 17th, 2014. These Terms and Conditions represent a contract between Carpet Doctors and the Client. 1.1 Any variation or alteration of these Terms and Conditions shall not be valid unless approved in writing by a representative of Carpet Doctors directly with the Client. 1.3 Carpet Doctors has full Public & Products Liability Insurance Inc Treatment Risks policy. 1.4 Carpet Doctors is a member of CHECKATRADE – giving full business accreditation. 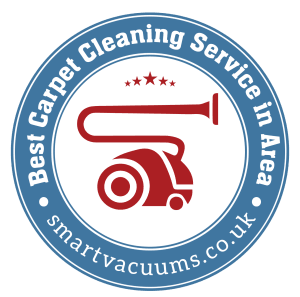 1.5 Carpet Doctors will always endeavour to provide a fully satisfactory service to its clients upon which it stakes its reputation for excellent friendly service. Prochem UK trained & certified. 1.6 Health and Safety Regulations effective at the time of any Quotation are observed for the benefit of all parties. 1.7 The Client agrees that any use of the Carpet Doctors’ services, including placing an order for services by telephone, fax, email, website forms shall constitute the Client’s acceptance of these Terms and Conditions and shall be the Terms and Conditions used and ensure that their respective responsibilities under this agreement are undertaken in compliance with all statutory regulations and codes of conduct. 1.9 Quotations are given on the basis of a charge per square metre, using a standard hot water extraction method. This takes into account the type of carpet fibre. Where the process involves the presence of other fibres such as natural fibres which require other methods of cleaning such as Dry Cleaning, the Quotation given will reflect this. The Quotation will also reflect the estimated time for the work to be done, and if this is varied by Carpet Doctors, then the Client will be informed as necessary, and agreed with the Client. 2.0 Upon acceptance of a Quotation, this will require an agreed date and time to be made between the Client and Carpet Doctors and every reasonable effort will be made by Carpet Doctors to carry out the work at the arranged appointment. Any changes to booked services are subject to a 24 notice. 2.1 The Client has a right cancel the booking, this should be done by telephoning the Carpet Doctors quoted telephone numbers. 2.5 Carpet Doctors will provide and use the cleaning equipment together with the materials necessary to carry out and complete the work requested. The Client shall provide power and water supplies to enable the work to be completed. 2.6 The Client must agree to inform Carpet Doctors of any condition of any areas or items which may not be fully able to be cleaned, such as extra soiled areas or existing damage to items or areas, as these will naturally be subject to extra care or avoidance if necessary, as agreed with the Client. 2.7 The Client should approve the work carried out upon completion and immediately notify Carpet Doctors of the nature of any complaint, giving full details of the nature of the complaint and give their reasons for the complaint. 2.8 This should be done as soon as possible. 2.9 Carpet Doctors will require to visit the problem area as soon as possible after notification and will fully investigate any complaint and attempt to resolve it to the satisfaction of the Client, or alternatively to a reasonable standard. 3.0 For prevention of damage, accidental or otherwise, to areas or items of value, the Client must agree to take all reasonable precautions to ensure that these risks are minimised, by removing or protecting such areas or items. Should damage occur, then Carpet Doctors will agree with the Client such course of action to correct any such damages. This should be done on the day of the work or within 48 hours, and only then can any adjustments to the original Quotation be considered and agreed by the Client and Carpet Doctors. 3.1 Upon completion of any further work deemed necessary and agreed by the Client and Carpet Doctors, the completed work should be approved by the Client, and, if necessary, any further work should be done to correct the matter to the Client’s complete satisfaction. Payment by the Client for work done, as per the accepted quotation, by Carpet Doctors. 3.2 Payment methods to be used by the Client, and accepted by Carpet Doctors, are cash, cheque or Internet Banking on-line transfer of funds. 3.3 Payment is due on completion of the work and an Invoice can be issued on request.. Payment may only be delayed, by agreement in writing, between the Client and Carpet Doctors. The amount due for payment may not be amended by either the Client or Carpet Doctors, unless agreed in writing, by the Client and Carpet Doctors. 3.4 Where a cheque has been used in payment and is returned by the Client’s bank for whatever reason, any charges resulting from this action are payable by the Client in addition to the agreed amount owed. 3.6 Carpet Doctors does not charge V.A.T. Carpet Doctors Copyright © 2009- 2019 All rights reserved.